How Many People Know Who The Walking Dead Killed Off In The Finale? Spoilers from The Walking Dead Season 6 finale are in this article. The Walking Dead’s Season 6 finale has been an engrossing topic for weeks, mostly because the series ended on a major cliffhanger. 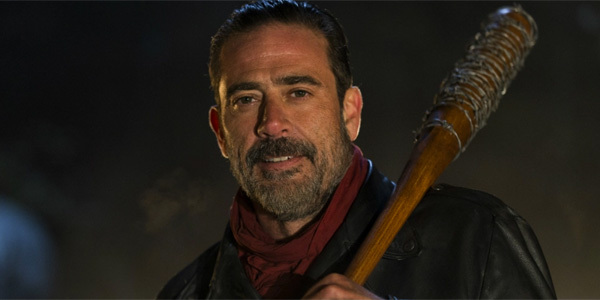 Negan killed off a Walking Dead character with his bat Lucille, but the scene was conveniently shot so we didn’t learn which character actually died. In the aftermath, a lot of the people close to the show have acted like this Negan cliffhanger has been kept quiet on the set, while other actors have said they know who Negan killed. This begs the question: How many people actually know who The Walking Dead killed in the finale? According to Tyler James Williams, the answer has to be a lot. Speaking with EW’s Sirus Radio station, Tyler James Williams revealed that not only does he know who died on The Walking Dead, he and others have had the answer since way back when Season 6 was filming. Yes. Yeah, I know. They were still shooting 6. So like, middle of 6. You have to understand [showrunner Scott M. Gimple] knows everything seasons and seasons out, so people knew, but we can’t say anything. No one can say anything. So it’s actually better to say that we don’t know. So, according to Williams, around the set of The Walking Dead, who Negan killed isn’t exactly a secret. In fact, if he really does know the answer that means even former cast members learned what was up before the episode aired. However, they’ve all made a huge pact to simply say they don’t know, which is on par with what Andrew Lincoln has said the cast decided to do to avoid any big spoilers leaking. At this point, I think we can agree that there are major discrepancies in the facts surrounding who knows and who doesn’t know what happened during the finale. Norman Reedus, for instance, has stated he knows who Negan targeted. Chandler Riggs has openly stated he’s in the dark about what happened and Lauren Cohan says the scene was recorded separately so that no one would have the correct answer. In addition, the show’s producers have said they aren't in the loop. However, Tyler James Williams played Noah on the show, and if you remember things about Noah, that probably includes the fact the character was killed off way back in Season 5. So, if someone like Williams really does know what’s going on, that’s a secret that’s probably widely known rather than confined to a tight-knit group of people. The Walking Dead has already been renewed and will return for Season 7. Here’s what we know so far.